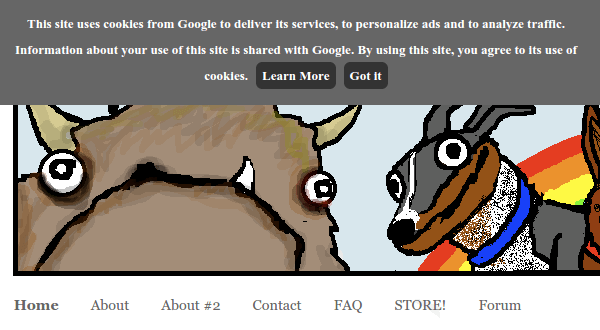 How do I add EU user consent on my website? Do you need any help about the EU User Consent? The reason different sites have this message is that it is the law for EU visitors, based on a set of EU directives regarding privacy on the Internet. 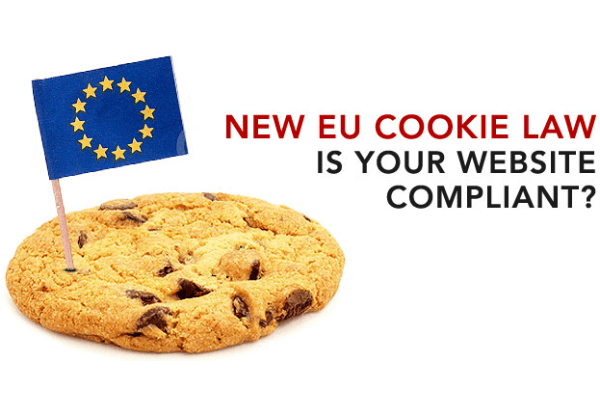 Those directives that have come to be known as "the EU cookie law". 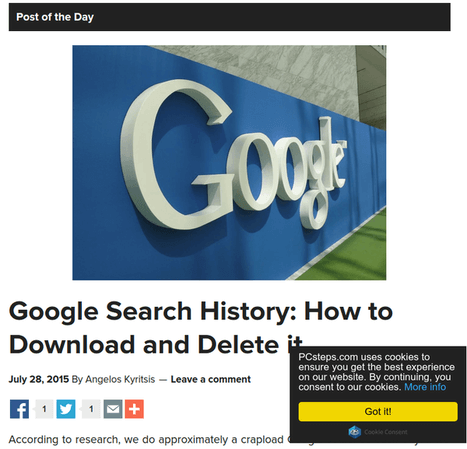 This law, of course, doesn't just apply to large websites. All websites owned in the EU or targeted towards EU citizens are expected to comply with the law. If our site doesn't comply, we risk enforcement action from regulators, which could lead to a fine. 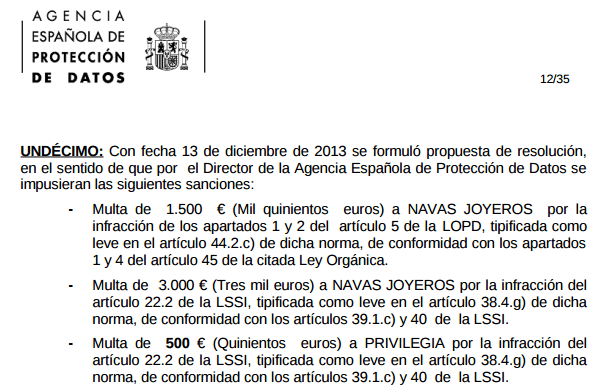 For some Spanish websites in 2013 (in Spanish, PDF), the total fines added up to 5,000 euros, or about $5,400. But, most importantly, if we are using Google Adsense to monetize our website, Google is enforcing a strict EU user consent policy. 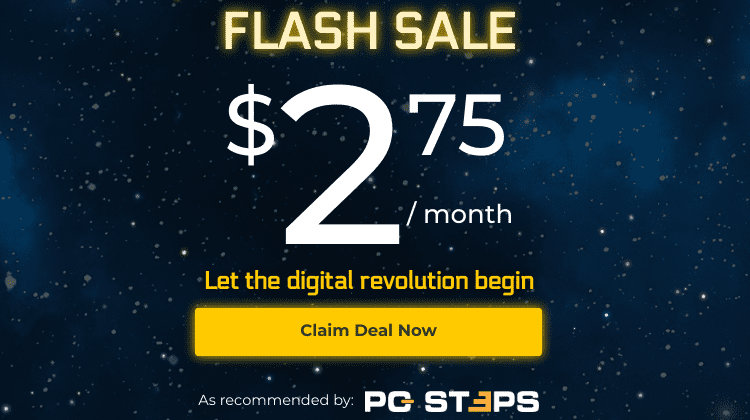 We are required to have taken action by September 30th, 2015, or risk violating the AdSense policy and receiving a warning or having our account disabled. 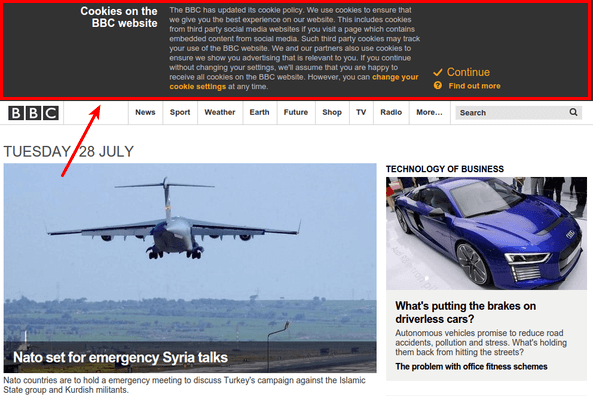 No need to panic, though, adding the EU user consent message on our website is simple. For starters, if we have a site on Blogger, it is the best-case scenario. Google has already handled the EU user consent message for us, so we don't have to do anything else. There are a couple of websites that can create the EU user consent message code for us. Some are free, and some are subscription based, charging about 5$ a month. 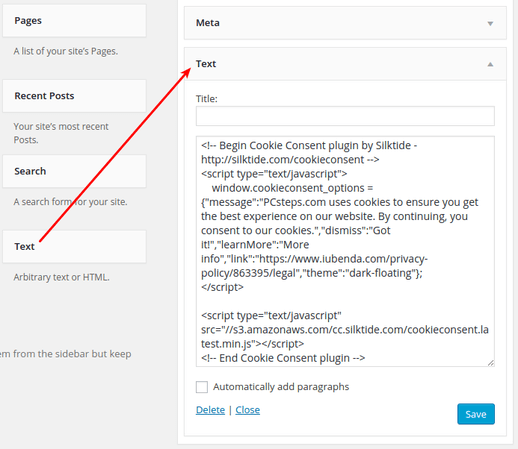 For this guide, we will be using the Silktide Cookie Consent, which is a free and open source solution. 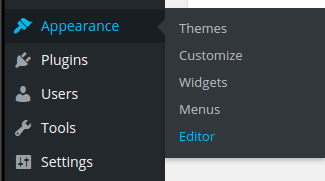 We click on "Download now", and then we select a theme. On step 3, we get the code. And, that's it. We have the EU user consent code. Now it's just a matter of adding it to our website. The ways to add the EU user consent window depend on our website's platform or CMS. For the example, we will use WordPress, but it should work similarly on any CMS: Joomla, Drupal, or custom built websites. 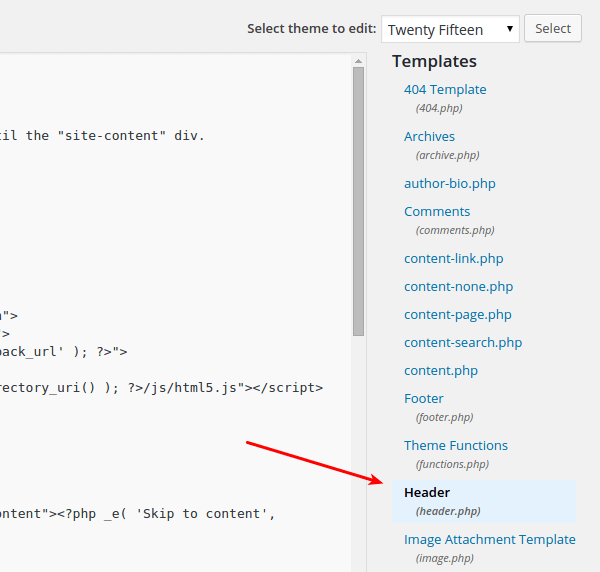 First, we should check if our theme has a special "Header script" field. Genesis Framework, one of the most famous WordPress themes, has such and option, and it works brilliantly. ...and add the code right before the </head>, and click on "Submit file". ...dragging a text field to a placeholder, pasting the code and saving. Once we have added the code, just visiting our homepage should show the informative widget. 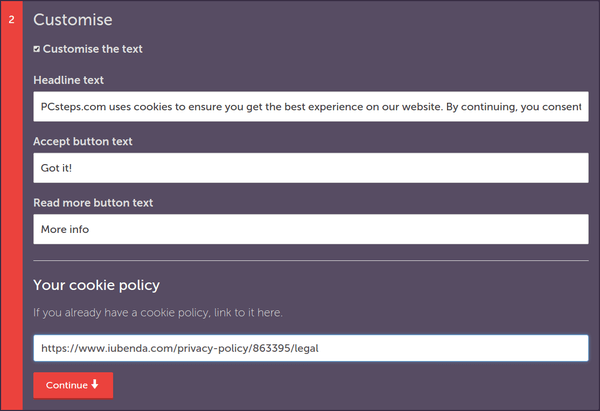 If you have trouble adding the code on your website, or have any questions about the EU Cookie Law, leave us a comment.